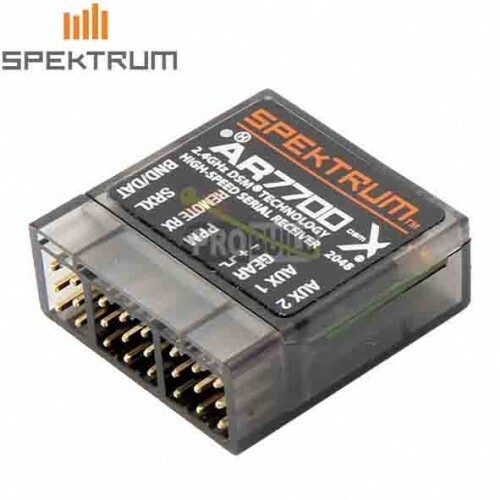 The AR7700 is compatible with many of the most popular flight controllers and gives users three connection options to choose from: Serial (SRXL), PPM and Remote Receiver. 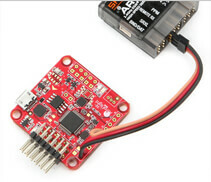 Just plug a single connector into the receiver port that supports the option you want to use and connect it to your flight controller. The AR7700 includes extra ports that let you run functions like retractable landing gear, lights or gimbal control directly from the receiver. The AR7700 will work with these and many other multi-rotor flight controllers. 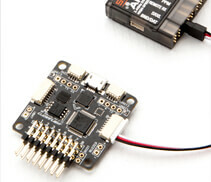 A small remote receiver is included for larger multi-rotor applications that could use the redundancy and path diversity of patented MultiLink™ technology. By mounting the remote receiver away from the main receiver with a different antenna orientation, the odds of experiencing signal fade from signal reflection or antenna polarization are substantially reduced. 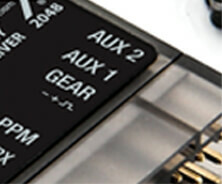 When using the SRXL and Remote Receiver connections, the AR7700 will allow you to tap into as many channels as your transmitter can support. 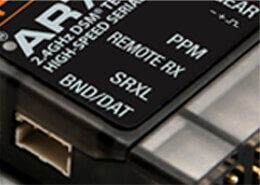 The PPM connection can support up to 8 channels. Connect to the GND, 5V and RX line from the main or flex port on the CC3D to the Remote Rx port on the AR7700 to run DSM. Connect the 3 pin servo connector on the 8 pin JST-SH cable to the IO2 port on the SP Racing F3 to the Remote Rx port on the AR7700 to run DSM. Connect the PPM cable from the Vortex to the PPM port on the AR7700. Connect to the GND, 5v, and pin 4 from the Naze to the Remote Rx port on the AR7700 to use DSM . Dedicated Multi-rotor Airware available for all Spektrum generation 2 transmitters including the DX6, DX7, DX9, DX18G2 and DX18 Stealth. 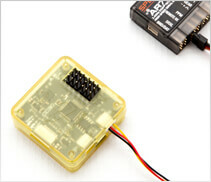 This software upgrade was designed specifically for the multirotor enthusiast and offers tailored programming and setup options for multirotor platforms. 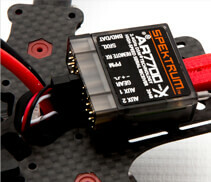 Log onto the Spektrum community site to check for the latest AirWare updates for your transmitter.